In the beginning of this year, Mark Zuckerberg set his personal challenger for 2016 was to build a simple AI to run his home and help him with work. He told the audience during the interaction at Facebook Town Hall held in Rome that he would display the AI assistant system at home next month. It is said that he can control the lights, gates, inner temperature and even oven with AI assistant. He has no need to use key to open doors as AI system is employed with face recognition, as well as voice control. Let us learn more about the develoment of Facebook AI technology. Facebook started arranging the AI technology when Yan LeCun joined the company in 2013. To invite LeCun to join Facebook, Zuckerberg built an AI Lab in Manhattan as LeCun was unwilling to leave New York. In 2014, its DeepFace technology was highly affirmed in peer assessment report. The accurate rate for face recgonition was 97%. In the beginning of 2015, Facebook acqured voice command startup Wit.AI and built a voice technology division. Shortly after the acquisition, Facebook Messenger users could transcribe voice messages to text messages. In June, 2015, Facebook AI Research built lab in Paris in order to recruit more European AI talents. In 2016, Facebook Asscessibility Team released artificial interlligence technology that describes the provided images with voice for the blind users and visual impaired users. Zuckerberg displayed how to communicate with chat robots on Messager at F8 meeting. Users can hire a car, order a meal, receive weather forecast and read news on Messenger. In addition to the development of AI technology, Zuckerberg focuses on VR business. Facebook has been launching VR apps since the acquisition of Oculus. 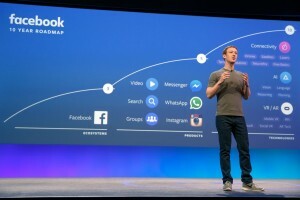 Zuckerberg once announced Facebook 10 -year roadmap, whose Connectivity, AI and AR/VR would be the major pillar industries. An eight-minute AR film introduced Tokyo with sports, technology, games and animation at the closing ceremony of Rio 2016 Olympic Games. Among those Japanese culture symbols, Mario plays an important role. Nintendo benefited from this introduction with stock price increase. It is a bit pity that Pikachu, a symbol of Pokémon Go did not show up in the film. The market made some bad feedback concerning Pokémon Go. According to the figures of Bloomberg, players show less interest in playing Pokémon Go now. 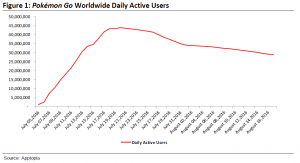 The daily active users of Pokémon Go came to its prime in the late of July, then it started declining. The Pokémon Go engagement also suffered decline. Pokémon Go has a great connection with AR technology due to its game feature. Players play this game based on AR technology. A data made by Google Trends showing that the attention of AR has been increased thanks to Pokémon Go, but AR attention also suffers decline as fewer players play Pokémon Go. In the meanwhile, the attention of Virtual Reality technology keeps stable. Pokémon Go hasn’t been introduced to mainland China yet. Its prime attention occurred in mid July and then declined after a week. It enjoyed a great popularity when Pokémon Go was just introduced to a new market. For example, it attracted a great amount of players in Pokémon Go stops or gyms a month ago in Hong Kong. The popularity of Pokémon Go recorded the development of smartphone on the other hand. Time will tell us how far Pokémon Go goes. Will Google call users from iOS and Android platforms together? 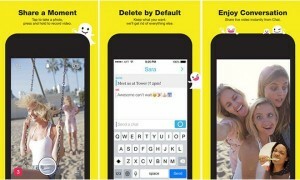 It works as it released Duo by which a one-to-one video call app. 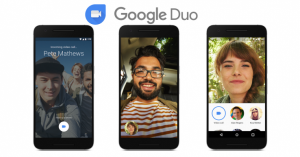 It is said that Google released Duo at 2016 Google I/O conference in May. It is now available for users. Duo supports 78 languages. It is obviously that Duo is considered as a competitor of FaceTime. iOS users can make video call to their friends who use Android system with Duo. It is a pity that Google Duo is unable to create group voice call, make video processing and text chat. Nick Fox, vice president of Google Consumer Communication product management department, claimed they focused on simplicity, speed & stability and humanity factor for Duo. Users can access Duo without Google accounts. The app will show users their current calls or telephone contact list on the bottom of main interface. It sets a shortcut key of accessing contact list. It will enter the full screen mode as long as the video call is made. If your friend fail to answer your calling, he will receive a notification of missed call. The most innovative feature of Duo is considered as Knock-Knock. It sounds like knocks when you stop by a friend’s. Users can receive the scenes before their friends answer the video call. It is weird that Duo can not connect with other Google messaging apps or website. It can possibly be forgotten by users shortly. Google has Duo, Allo, Google Chat, Android SMS, Spaces, RCS and Hangouts. It previously announced to end Hangouts soon. Its communication business still requires more focuses. It is reported that iPhone 7 Special Event will be held on September 7. The confirmed source revealed that Apple has been testing MacBook Pro since the beginning of this year. Since the release of iPad in 2010, Steve Jobs once considered it as post-PC device. It indicated iPad would be the replacement of laptop. However, the release of MacBook Pro surprised the public. Mac products included pro line contributed $25.5 billion revenue in 2015 fiscal year, increaed by 6%, while iPad revenue declined by 23%, down to $23.2 billion. Apple research statistics showed that consumers would upgrade their iPad each three years, upgrade iPhone each 18to 24 months. 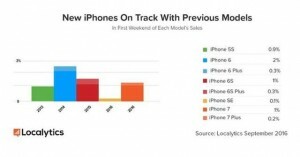 This is why iPad sales encountered decline after 2013. MacBook Pro upgrades its touch screen bard for key board. Some analyst predicted it would apply thinner and lighter OLED for MacBook Pro eary this year. MacBook Pro is said to save more energy than the current products. It will apply AMD chip while it used to apply Intel product. It is unclear the updated Macbook Pro is equipped with which processor. It is said that MacBook Pro supports USB-C technology. 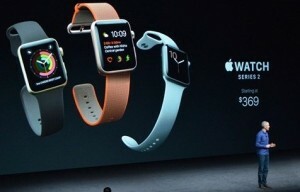 It will offer three color options for consumers as iPhone, iPad and 12-inch MacBook did. Apple may apply Touch ID for MacBook Pro line. Technically, MacBook Pro is supposed to support Apple Pay certification. Amazon released its first voice assistant Echo in November, 2014, with fantastic means to display music, turn on lights and adjust temperatures. By this June, Amazon had sold 3 million Echo devices. It sold about one million Echo during summer vacation in 2015. Echo received 4.5 rating score in Amazon website. Echo is supported by Alexa which was launched by Amazon independently. 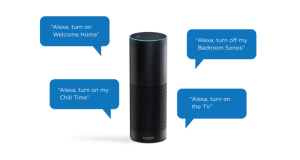 As the core part of Amazon product in voice recgnition field, Alexa is available to all developers though their applications made threats to Echo. Besides Alexa, Apple also launched its own voice assistant Siri. Recently, Google debuted Google Assistant. While Microsoft has Cortana to compete some share in recent years. Until now, only Amazon opens its API to developers and enjoys a great popularity for all kinds of app creation. Alexa has been applied to Uber for taxi reservation. Users can also apply Alexa to order pizza on Domino platform. Amazon obtained over 10,000 developers since it open Alexa. David Limp, senior vice president of Amazon hardware department, claimed Alexa would be connected to more home appliances regardless of their manufacturers. “Our long-term goal is to operate Alexa as the Central Computer of Star Trek Beyond does,” said Limp. It must be wonderful to control everything by voice as it does in the movie. Amazon faced much pressure from Apple and Google since the failure of Fire Phone in smartphone market. Now, they can popularize their own voice assistants on Google and Apple smartphones. In other worlds, the failure of Fire Phone led to the success of Alexa as Amazon could focus on the development of voice recognition system. Microsoft Edge is the default browse of Windows 10 operating system. With the popularity of Windows 10 OS, it is said that Microsoft Edge will obtain more users. However, the statistics show the negative feedback. Edge browse just maintained its users in June, 2016. It still needs to take time to win more users to rival Firefox and Google Chrome. In fact, the user share of Google Chrome keeps increasing each month. Though the worldwide market share of Windows 10 increased by 2% in July, it did not help much for Edge to obtain more users. 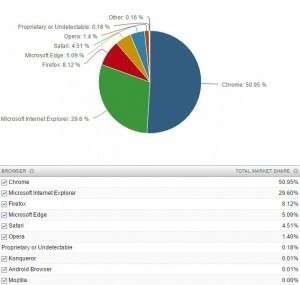 By now, Google Chrome ranks No.1 among PC browsers, with a total market share of 50.95%. Microsoft IE market share comes with 29.60%, but it keeps declining as Microsoft just upgrades patches instead of upgrading new features for this browser version. So far, worldwide market share of Mozilla Firefox among PC devices accounts for 8.12%, while Microsoft Edge is just only 5.09%. Microsoft aims to obtain more market share of Edge with the Anniversary updates of Windows 10. The major Windows 10 anniversary update for Edge is to offer it plug-ins. Microsoft plans to support Edge plug-ins on Google Chrome without changing any plug-ins. In the meanwhile, Edge will be upgraded with more features, such as Touch gesture navigation and other performances based on Touch devices. There is no doubt that Edge has great potential to increase market share. However, it needs to keep upgrading its performance to catch up with Google Chrome. The survey was done by interviewing 11,000 interviewers. They also answered some other questions, including what programming languages they used, favorite frameworks and salary. Packt Publishing also found that the income of web developer is not the direc proportion to the popularity of programming languages. For example, The annual average salary of Bash, Perl, Scala web developers is over $80,000, while PHP and C web developers is under$ 40,000. In terms of tools used by web developers, AngularJS ranks first. Followed React.js frameworks of Facebook, Node.js, Docker, Laravel, Bootstrap, WordPress and AWS. 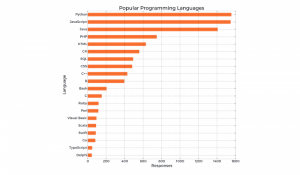 The most popular programming languages in a few years ago were Swift, C#, Go, Rust and Elixir. The most popular new Frameworks are Docker, Apache Spark, Amazon Web Services, Hadoop, Azure, Xamarin and so on.